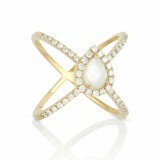 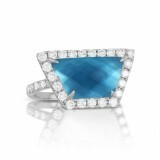 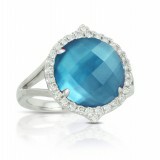 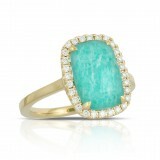 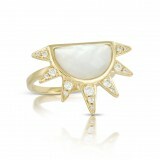 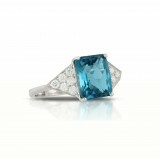 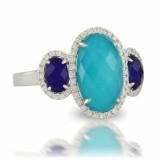 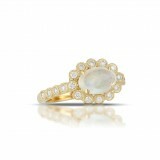 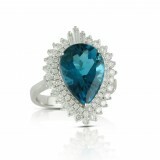 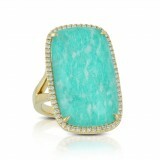 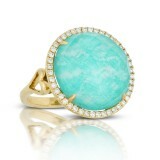 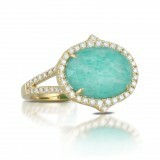 18K Yellow Gold Diamond Ring With Clear Quartz Over Amazonite. 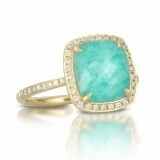 No Diamond On Shank. 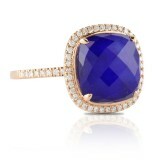 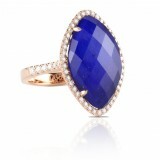 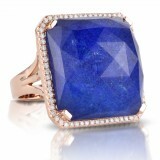 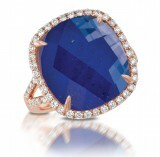 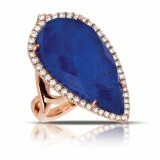 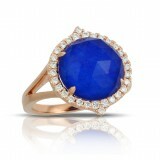 14K Rose Gold Diamond Ring With White Diamond With White Topaz Over Lapis. 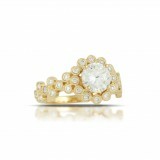 No Diamonds On Shank.